I am a very lucky person, because as far as I am aware I don’t have any food allergies. Once, if you had a food allergy it probably was not diagnosed and you were a sickly little person that most likely died young. Now we can work out what disagrees with us and find a way around our allergies….the miracle of modern life. I am sure that Suzanne, from ” Strands of my Life “, who is allergic to almost everything except fresh air, doesn’t consider herself lucky, let alone the subject of a miracle. I have been following her diagnosis and the change this has brought to her cooking. This lady can make beautiful food out of a the handful of ingredients she can eat. I decided to make one of her recipes for this months Sweet Adventures Blog Hop. 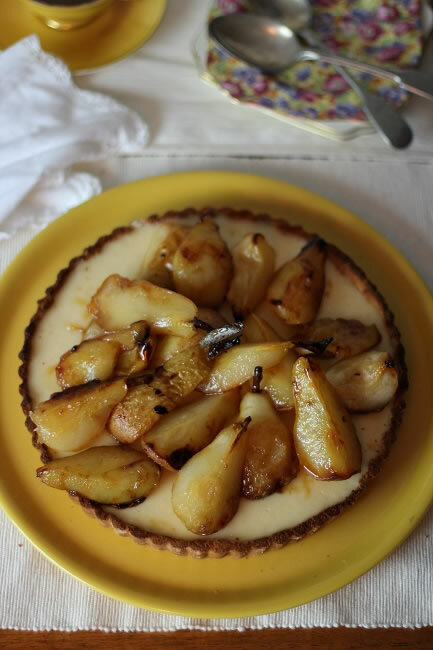 There are plenty of lemons and pears about and I am being brave and making a gluten free, grain free, dairy free, nut free dessert from Suzannes E-book, “Afternoon Tea”. In a food processor, blend the oil, honey and eggs. Set up a double boiler with water simmering underneath and add the oil and honey together with the lemon juice. Whisk well. Heat until hot but not boiling and whisk in the beaten eggs. Keep stirring constantly. The mixture will begin to thicken after about 10 to 20 minutes. Cool, pour into tart case and put into the fridge to set. When set and cool decorate with fruit. 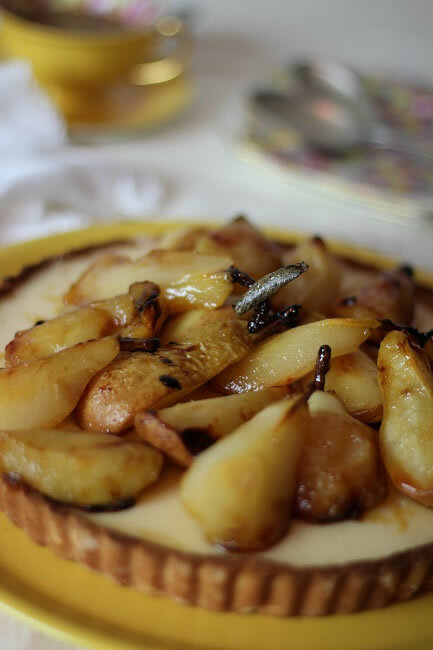 Put the honey and lemon in a small oven proof dish. Melt lightly then add the pears and toss. Put them into a 200 C / 390 F oven and roast tossing occasionally. I finished mine on the stove top, caramelizing and little. And …. 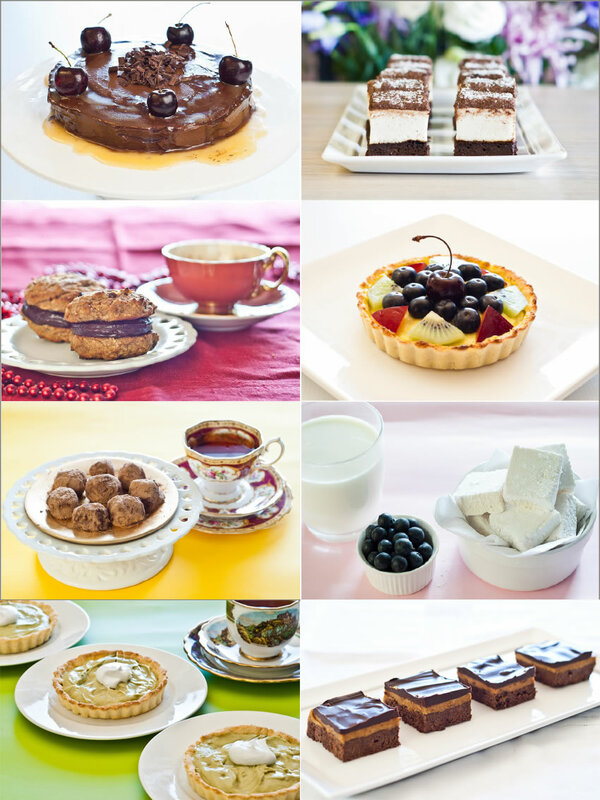 if you would like to make some “free” recipes head over to www.strandsofmylife.com and have a peek at Suzanne’s stunning ebook “Afternoon Tea”. I can’t believe you can make these elegant desserts out of a few simple ingredients. “Afternoon Tea” is available to Buy by heading over to ‘Strands of My Life ” . It’s only $10 introductory price till the 16th April. Absolutely stunning, Tania! It’s amazing that something so beautiful can be gluten and dairy free! I’m so thankful that I don’t have any allergies either Tania although there are lots of options out there now for sufferers. I’d happily eat your tart any day! I did a post on Suzanne’s book today too. I did the pumpkin tart and I used her recipe and didn’t change a thing so I didn’t post it. Maybe I shoulda worked on it more but I wanted to see how it was so I could be sure before recommending it. This tart looks amazing! You are such a wonderful chef and photographer and story teller. Maureen | Orgasmic Chef recently posted..Help for Food Intolerance! It looks absolutely beautiful and your photography is stunning. 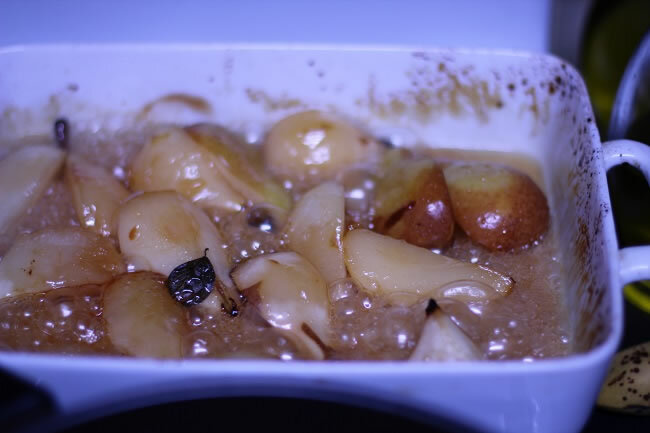 I love the look of the honey roasted pears. The only things I’m allergic to (as far as I know) is bright fake food colourings so tartrazine and sunset yellow etc – which is no bad thing as I wouldn’t want to eat them anyway! This tart looks gorgeous. 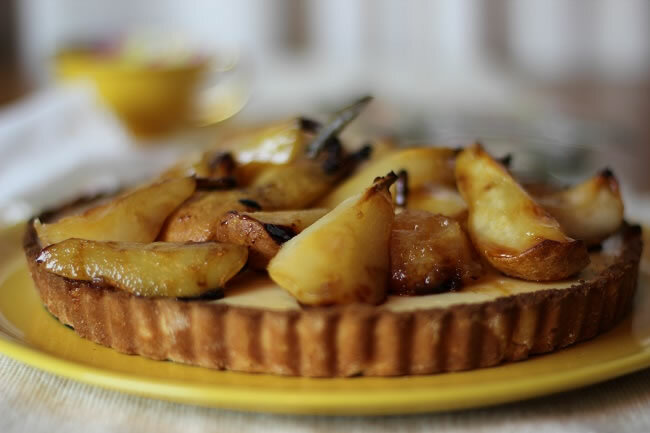 What a gorgeous tart – for anyone! It is amazing what some people have to navigate to be well with food, but this is a great example of how food restrictions don’t have to be boring. wow that’s a great looking tart! 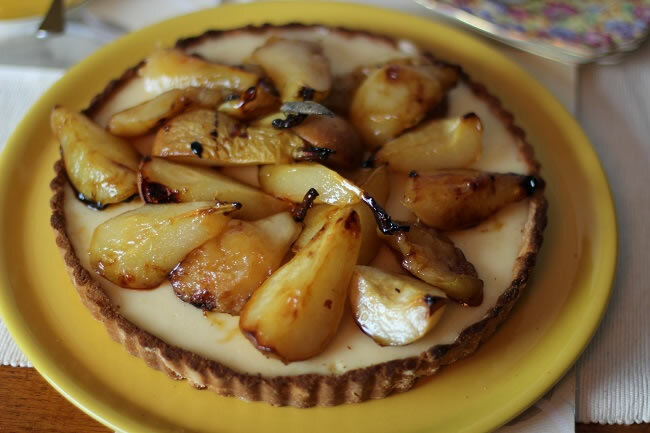 Those honeyed pears are really super paired with tangy lemon curd filling. I will take anything with pears! Yum! 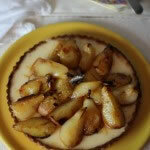 Thanks so much, Tania, for your wonderful post and your tart looks perfect. This looks really delicious!! I loved this gluten-free recipe and the picture is making me drool….loved those fruits inside. love the rustic look of this tart. 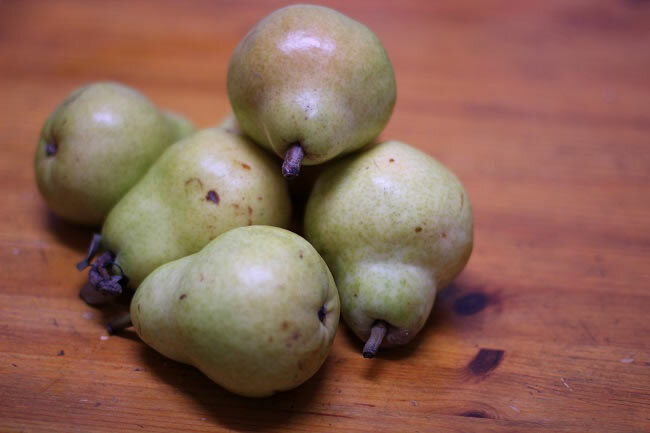 pears are so underused when it comes to desserts, but they’re so tasty and can be so elegant! lovely tart, for sure!